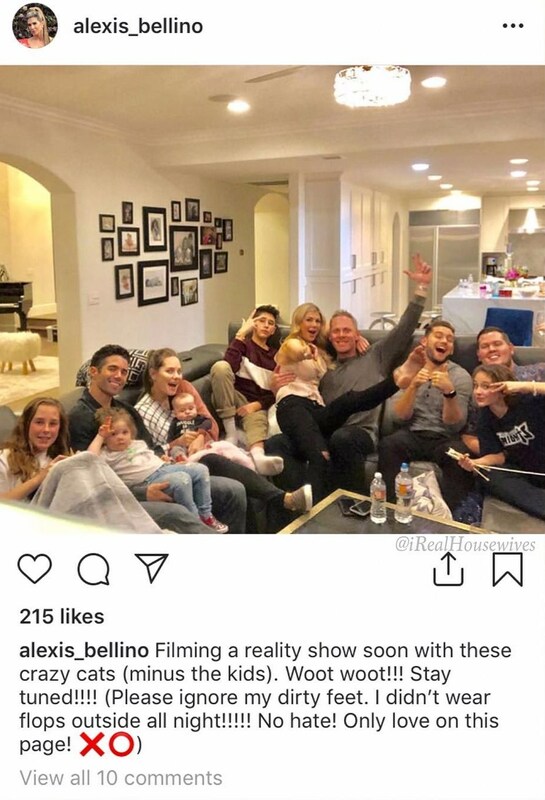 Alexis Bellino took to Instagram to confirm that she's returning to reality television. "Filming a reality show soon with these crazy cats (minus the kids). Woot woot!!! Stay tuned!!!! !," the former Real Housewives of Orange County star wrote. "(Please ignore my dirty feet. I didn't wear flops outside all night!!!!! No hate! Only love on this page!)" Alexis appeared on the Bravo hit reality series from Season 5 to Season 8. Since leaving the show, she appeared on an episode of We tv's David Tutera CELEBration, where Tutera helped her throw a lavish birthday party.